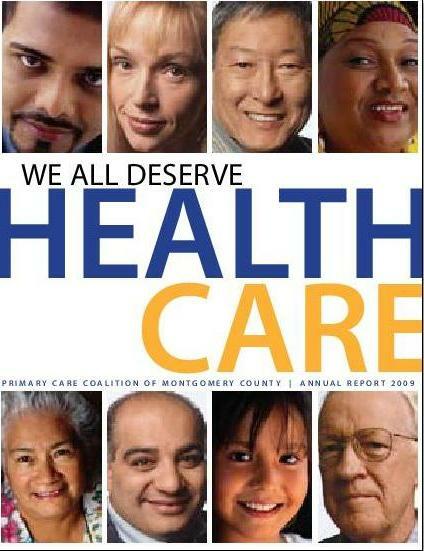 The Primary Care Coalition of Montgomery County has served as an advocate for county residents without insurance or the resources to pay for health care. This organization was founded in 1993 as a private, non-profit, charitable organization, whose vision is that all county residents have the opportunity to live healthy lives. 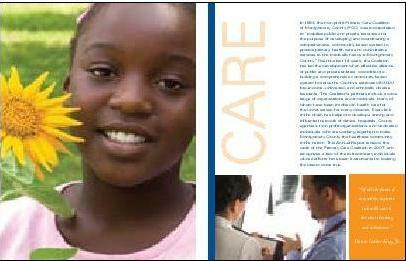 We have enjoyed a long-standing, working relationship with the Primary Care Coalition of Montgomery County. The goal of this project was to highlight the fact that despite the passage of the Affordable Care Act, there were still many residents in Montgomery county who needed help with health care. We wanted to support these residents and show them that help was on the way. We needed to be sure they knew they would not be ignored or become invisible. Another challenge of this project was to capitalize on the concern and compassion that Montgomery county citizens have for their fellow residents. 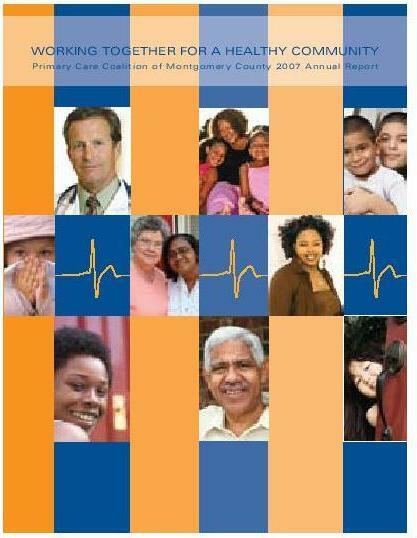 We have designed and printed several annual reports for the Primary Care Coalition of Montgomery County for the past 7 years. 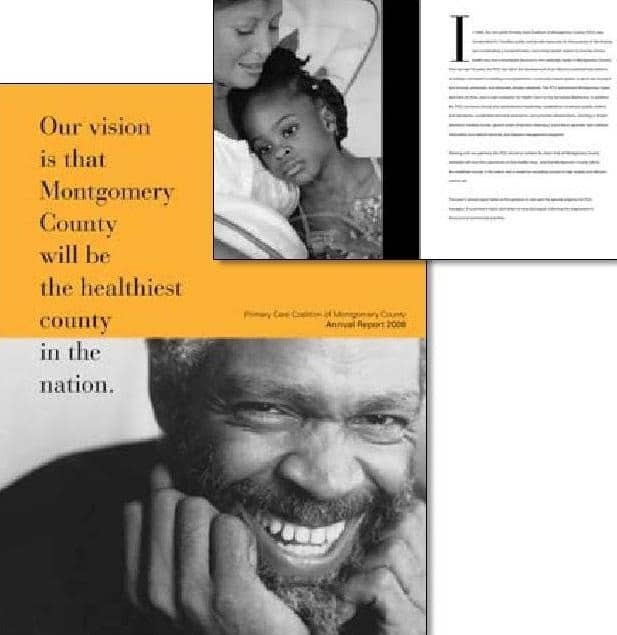 Our design in 2009 was recognized and received an award for creative excellence from the Maryland Society for Health Care Strategy and Market Development. 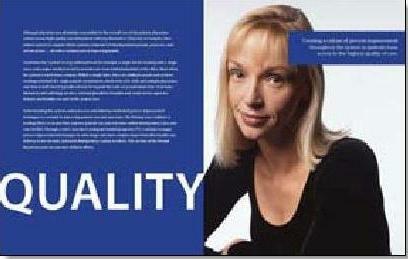 Through extensive brainstorming and collaboration with the Coalition, we came up with the “No More Invisible Patients” theme. We also came up with the slogan that "We All Deserve Health Care."